In which G.M. Norton becomes the proud wearer of a signet ring. I can’t begin to tell you how excited I am. 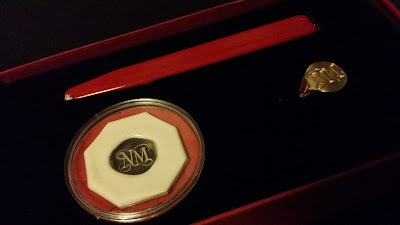 A very special parcel arrived this week from my chums at Rebus Signet Rings. I’m sure you can guess what it was, given the name of the company. For those not quite up to speed, it was this chunk of gold. 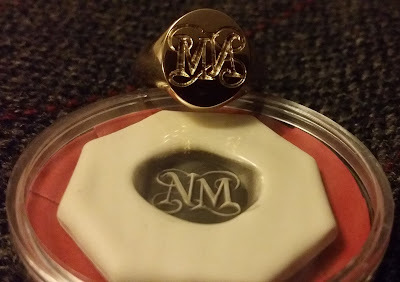 Featuring my Norton of Morton monogram, it was love at first sight. Even more so once I slipped it on my little finger. The ring, which has been deep seal engraved in reverse, was carefully handcrafted by one of Rebus’s expert engravers. They have done an absolutely fabulous job. Every so often, I find myself lovingly gazing at it and admiring the skill that has gone into making it. This opulence doesn’t come cheap, of course, but it really is worth it. My 9ct ring with a 14mm x 12mm sized face would set you back £565, with the deep seal engraving a further £250. It's an item that will last a lifetime and is something that you can hand down your family line. It may sound morbid but it warms my heart to think that one day, my two girls will have something lasting of mine to treasure and make them think of me. 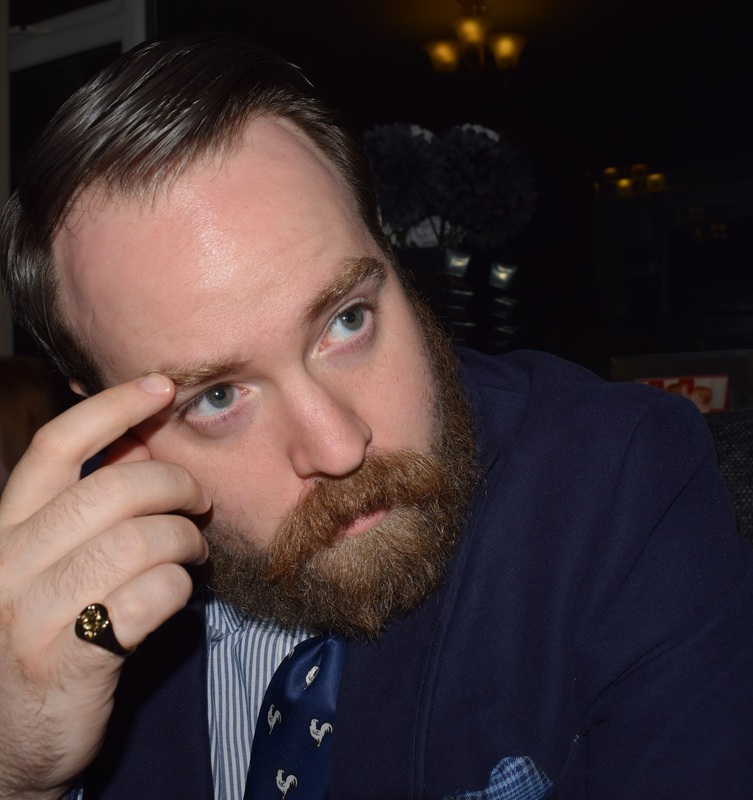 Despite being known as the ‘gentleman’s ring’, a signet ring can be worn by both sexes. I love the fact that it remains barely noticeable to any but the most discerning eye, almost like a secret code. It’s not gaudy, just a simple understated piece of jewellery. Men don’t really get much opportunity to tastefully wear a lot of jewellery so if you’re going to do so, do it in style. As I’m a left-hander, I decided to wear my signet ring on the pinkie finger of my right hand. 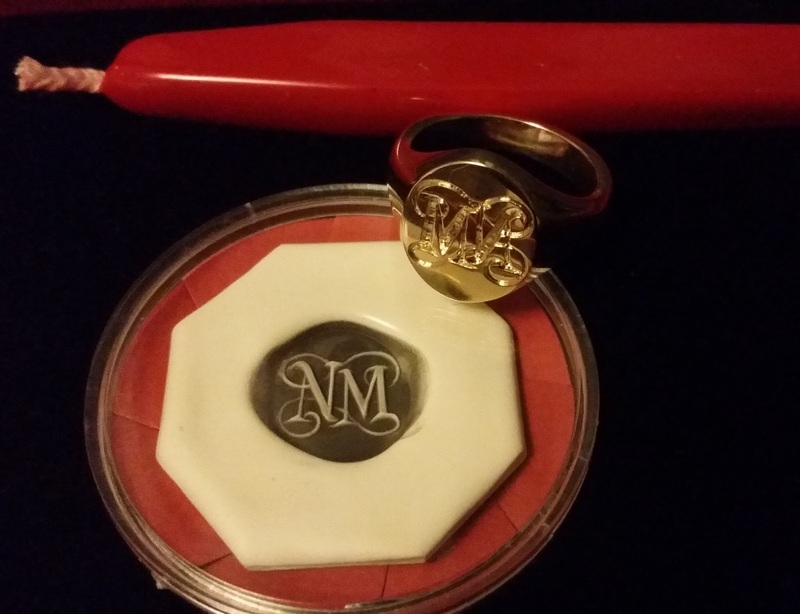 The ring arrived in an exquisite presentation box, along with the wax impression of my monogram and a stick of sealing wax. These are thoroughly lovely touches and perfectly in keeping with the Rebus experience. Isn't it just stunning? 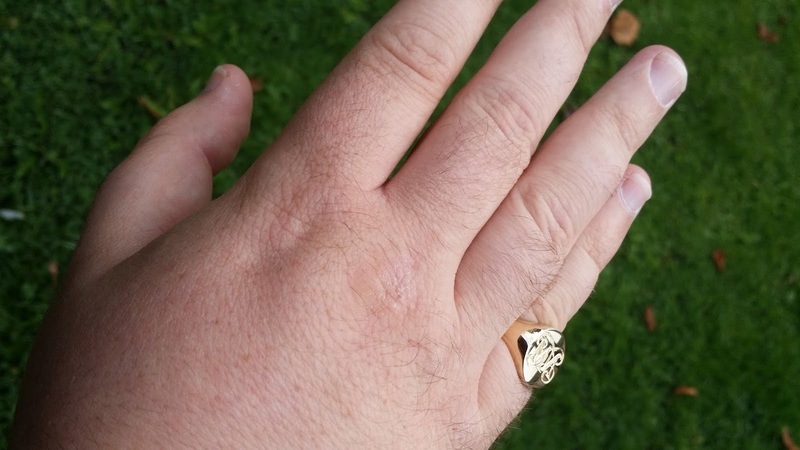 I do hope you have enjoyed my little mini-series on signet rings, starting with the history and etiquette and followed by my visit to the Rebus workshop. A thousand thanks to Emmet and the super talented Rebus team. I'm absolutely tickled pink with my ring, the true choice for an aspiring gentleman. 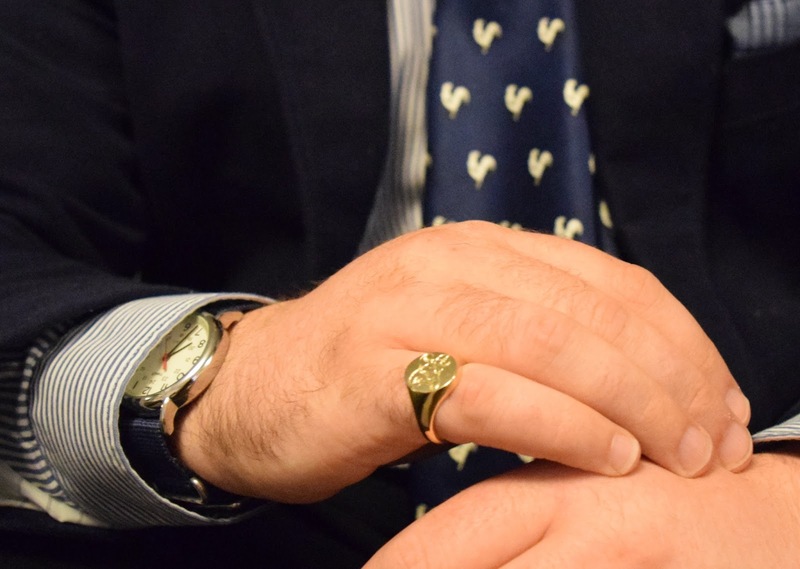 If you are now coveting your own signet ring, do visit the Rebus webular site which is a complete joy to peruse. Rebus are also worth electronically stalking on Instagram, Facebook and Twitter. I particularly like their Pinterest account and their 'Signets in the movies' board too. Right-o, I'm off to write some letters and authenticate them with my wax seal!